The 2020 BMW Z4 has been announced, but it is not yet available for purchase. 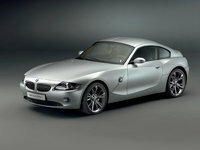 Start a new BMW Z4 question. When I'm Buying A Car With Cargurus, What Is The Process? when I'm sending you the money, can I have a copy of the title? when I'm taking possession of the car, you release the money to the buyer? 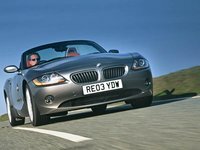 Should I Be Conerned Buying A Used BMW Z4 Sdrive 30i With 93,000 Miles? I a am looking to buy a 2011 sdrive 30i in really good condition but it has 93,000 mile on the engine. Should this concern me ? It is below market cost at $13,500. When I turn my engine off, my motor continues running for several seconds - sometimes. Is this a fault? 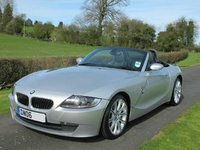 Launched with the 2003 model year, the BMW Z4 was designed and modeled on the classic roadster - the sports car enthusiast's sports car. Available with six- and four-cylinder engines, later models of the Z4 race from zero to 60 in 5.7 seconds, with jumps from 50 to 75 miles per hour in 5.5 seconds. 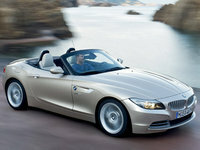 The Z4 has been available as both a coupe and a convertible. It replaced the Z3, which was discontinued following the 2002 model year after seven years of production. © 2019 CarGurus, Inc., All Rights Reserved.